In this talk Dr. Dawood Azami of the BBC World Service and Malise Ruthven a contributor to the New York Review of Books give their views on the Islamic State and the Caliphate. Dr. Dawood Azami examines the global expansion and reach of the Islamic State, also known as ISIS or ISIL, since the establishment of its caliphate in June 2014. He assesses the group’s strategy of differentiating itself from existing militant groups and challenging them on both the military and ideological fronts. Azami also explores the shapes and sizes of Islamic State affiliates — referred to by the group as wilayats (provinces) – and discusses the changing dynamics of militancy in countries and regions that were already home to a number of local and foreign militant groups. At the end, Azami analyses the ongoing military onslaught against IS Central in Syria and Iraq and its impact on the group’s affiliates around the world. Azami’s latest journal article on “The Islamic State in South and Central Asia” was published in the August-September 2016 issue of the Survival: Global Politics and Strategy. Malise Ruthven is a contributor to the New York Review of Books. His books include Islam in the World and Encounters with Islam: On Religion, Politics and Modernity and The Divine Supermarket, Shopping for God in America. Malise is a writer, journalist and teacher, focusing on religion, fundamentalism, and especially Islamic affairs, an Anglo-Irish academic and writer. Born in Dublin in 1942, he earned an MA in English Literature at Cambridge University, before working as a scriptwriter with the BBC Arabic and World Service, and a consultant on Middle Eastern affairs. He earned his PhD in Social and Political Sciences from Cambridge University. Dr. Dawood Azami is an award winning journalist and academic. He works as a Multi-Media Editor at the BBC World Service in London. Azami also worked as a Visiting Scholar at the University of Westminster, London, and the Ohio State University, Columbus, USA. Azami holds three Master’s degrees and his PhD looked at conflict, drugs and state (un)building. He is also a Consulting Member at the International Institute for Strategic Studies (London). 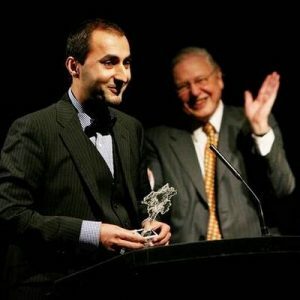 He was selected as a Young Global Leader (YGL) by the World Economic Forum (Geneva). Azami speaks five languages, writes poems and short stories and practices calligraphy.